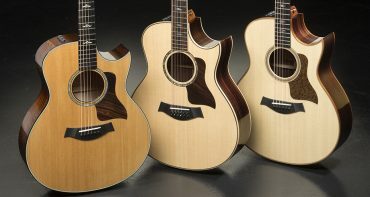 The Taylor Custom program makes it easy to turn the Taylor of your dreams into a reality. 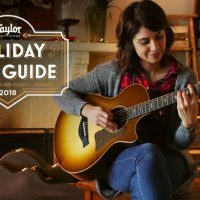 Think of it as a chance to design your own personal signature model—a guitar that stands out as a unique expression of your musical and aesthetic tastes. 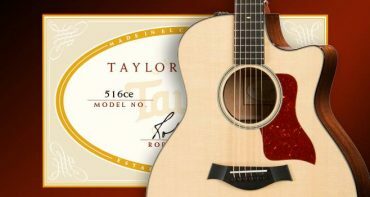 All custom orders are placed through our network of authorized Taylor dealers. 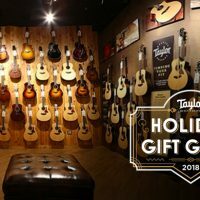 Your best bet is to start by creating an initial wish list (you may already have preferences in mind) and then visiting a Taylor dealer. They have access to a more detailed menu of custom options and can help you map out your specs and pricing. Here are some steps to help you begin the process. Our body shapes help define the fundamental voice of each guitar. Shape is also an important consideration in terms of physical comfort, since your arms will be wrapped around the body. Think about how you’ll be playing: standing, seated, on stage, in studio, etc. A smaller body shape like the Grand Concert might serve you better if you like to sit when you play, or if you’re of smaller stature. 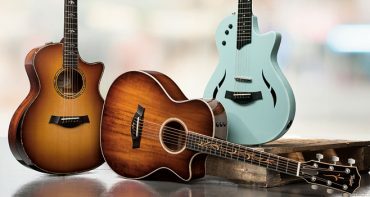 If you’re looking for a guitar with a bigger size and sound, try the Grand Auditorium (our most popular shape), the classic Dreadnought, or a Grand Symphony. If you want our biggest body style, the Grand Orchestra is for you. And don’t forget to choose between a cutaway (Venetian or Florentine) and non-cutaway body. 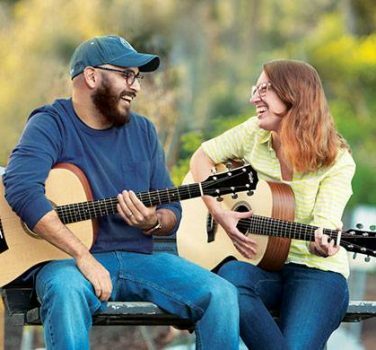 Tonewoods add sonic flavor and character to the sound of a guitar. Their visual beauty is also a source of artistic inspiration. 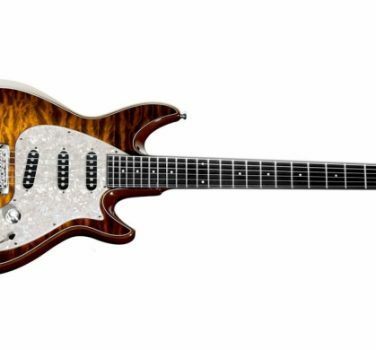 The wide variety of wood options offered through our Custom program means you’ll be able to design a guitar that delivers the sound and look you crave. 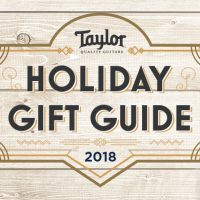 You’ll also be able to choose from types and grades of woods not typically offered through Taylor’s standard guitar line. A guitar’s top wood tends to have the greatest impact on the overall sound of the guitar. Popular top woods include spruce (Sitka, Lutz, or Adirondack), cedar, mahogany, and koa. 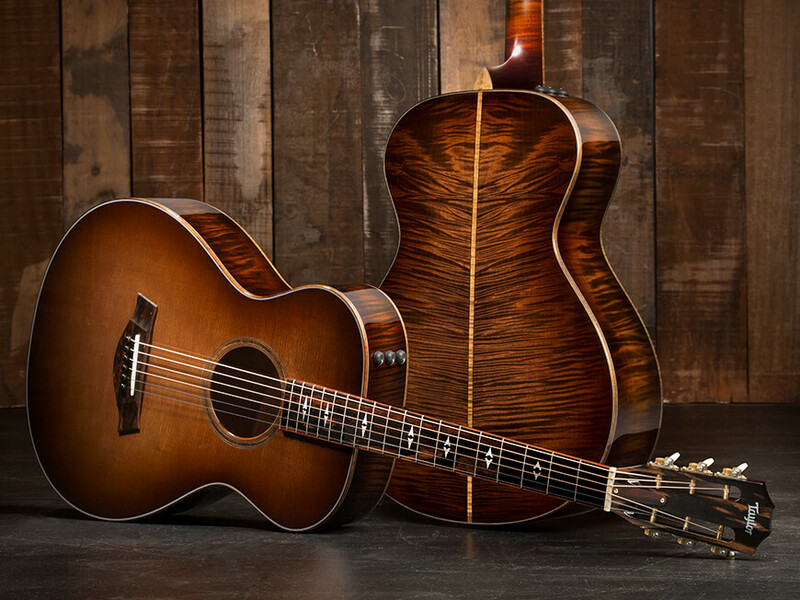 For body woods, choose from options like Indian rosewood, maple, koa, walnut, and more to fine-tune the voice of your custom instrument. This is where you really get to have fun. Add an elaborate fretboard inlay made from koa or abalone, or give your guitar a bold outline with bloodwood binding. 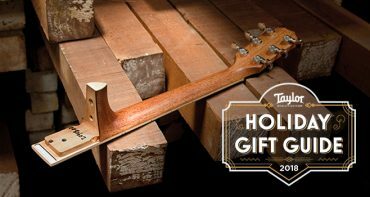 Choose an alternative neck profile that perfectly fits your hands and playing style, or add an armrest to give your guitar a beautifully sculpted look and extra playing comfort for your strumming arm. Whether your aesthetic preferences are understated, elaborately detailed, or somewhere in between, this is your chance to commission a singular work of art and craftsmanship. 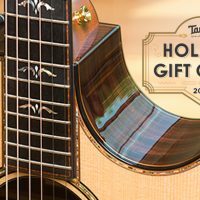 In all, we offer dozens of customization options, from major features like our Expression System® 2 electronics to dimensional features like scale length and nut width, to aesthetic touches like color finishes, truss rod cover, and the material of the Taylor headstock logo. 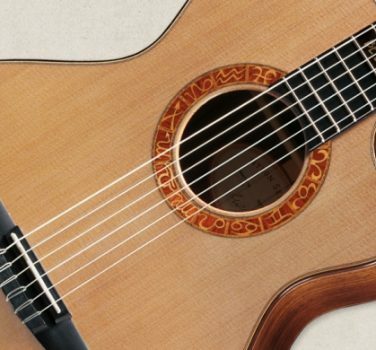 You can even select from several available bracing patterns to further distinguish the voice of your Taylor. 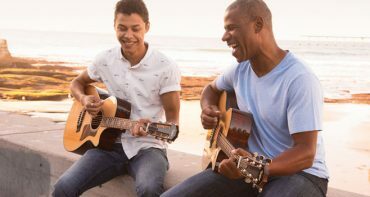 Or maybe you want to add a specialty baritone, 12-fret, or nylon-string guitar to your musical toolbox. 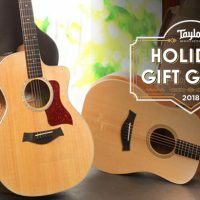 We have close relationships with our authorized Taylor dealers around the world, and all custom orders are placed through them. Review your list of preferences and head to an authorized dealer. They’ll walk you through the ordering process, help you make final selections, and place your order for production. From there the turnaround time is usually under eight weeks. If you have questions along the way, we’re here to help. Contact our customer service team at 1-800-943-6782 (U.S. and Canada) or +31 (0) 20 667 6033 in Europe and around the world, and one of our crew will be happy to help you.